The Anta Drop is a pendant lamp with numerous application possibilities. The design is by Michael Raasch and Heinrich Fiedeler. 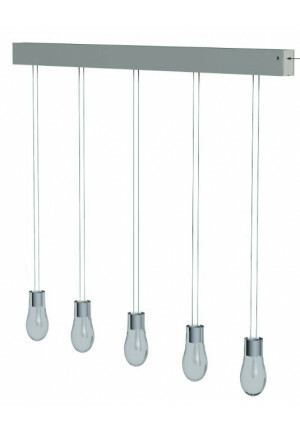 This light is available as a single pendant light and a multi-pendant light with different rails. 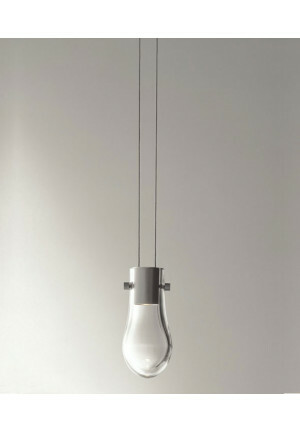 The single-pendant light can be ordered either with a version for halogen lamps or a LED variant. In all cases, the Drop is attached to two cables and it is on site dimmable. Whether as lighting for the dining room, in the reading corner or in the kitchen counter, this oval lamp illuminates wonderfully your room. The single pendant lamp can be connected to a ceiling part in the surfaces of aluminum, white, black, umbergrey aluminum or umbergrey brass. The cables can be shortened in all versions. In the Drop multiple pendant light you have the choice between a short (118 cm), a middle (156 cm) and a long ceiling track (194 cm). 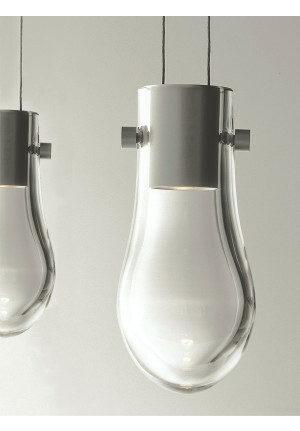 The short rail is hung with two pendant lamps, the middle and the long rail with 1 to a maximum of 5 pendant lamps. You can choose between the surfaces of aluminum, black, white with white cover, white with aluminum cover, white with brass cover, umbergrey with aluminum cover and umbergrey with brass cover. Anta Drop – Your design lighting shop for Anta Drop lamps – buy Anta Drop lamp-series online at Wunschlicht.